Residents at Dunmurry Manor had a fantastic day welcoming the Lord Mayor and Lady Mayoress to their home to cut the ribbon and officially open their Santa’s Grotto. 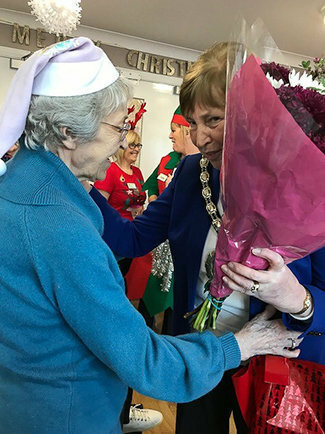 The Dunmurry Manor Residents Choir could be seen singing Christmas carols in reception for the arrival of their special guests, a relative volunteered to be Santa and one of our residents presented the Lady Mayoress with a beautiful bouquet of flowers donated by a local florist who has a lovely connection to the home. The Lord Mayor had the pleasure of cutting the ribbon to officially open Dunmurry Manor’s Santa’s Grotto - which will be open during our Christmas Mini Market at Dunmurry Manor on Friday 14 December, from 6pm - 9pm . 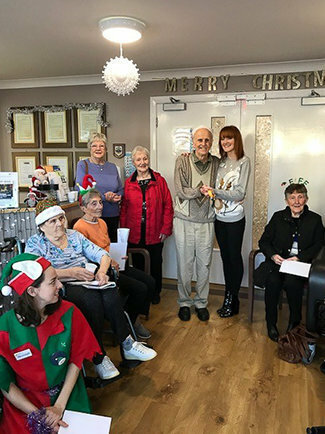 Home Manager, Michele Montgomery, commented on the event, "It was a fantastic and very happy day for all, with families of our residents participating too. All the staff dressed in Christmas jumpers. 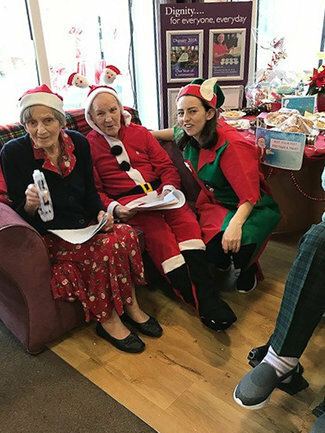 The residents were up dancing and singing and the Lord and Lady are very impressed at the preparations, residents, staff and families display." 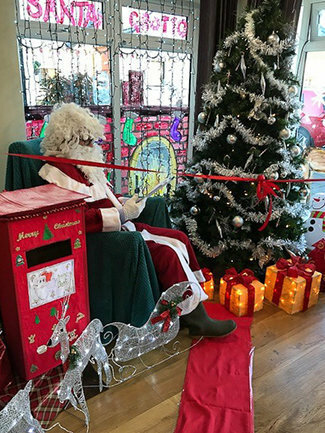 Dunmurry Manor also had the local nursery school children visit them and they listened to a Santa story then posted their letters to Santa through the post box – and staff at the home will ensure that each and every child receives a personal reply from Santa. The children’s excitement was a wonder for our residents to see. The children were also so glad to each received a treat from Santa. Christmas time is an exciting and magical time for everyone at Dunmurry Manor! Read more about Dunmurry Manor by clicking here or call 028 9061 0435 or email dunmurry@runwoodhomes.co.uk. Join us for our Christmas Mini Market at Dunmurry Manor on Friday 14 December from 6pm - 9pm. 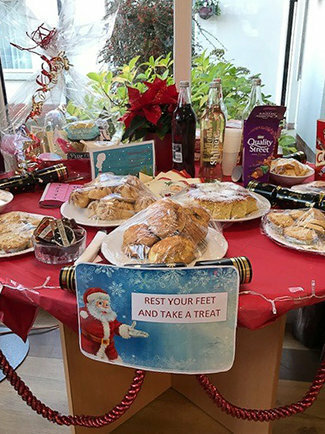 Click here to find out more about our Christmas Mini Market.